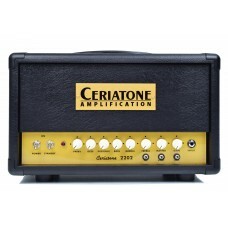 The Ceriatone British Style 2202HW is a low wattage, feature-laden champion of tone and value. The 2202HW started with the preamp of our 2203HW and 2204HW, but we added some features to make a timeless design even more flexible. The Ceriatone British Style 2202HW is a low wattage, feature-laden champion of tone and value.The 22..